This policy covers the use of personal information that TagKai Gundogs collects when you use this website. You may be asked to submit personal information about yourself (e.g. name and email address) in order to receive or use services on our website. By providing us with your details, you enable TagKai Gundogsto provide you with any services you may select. Whenever you provide such personal information, we will treat that information in accordance with this policy. 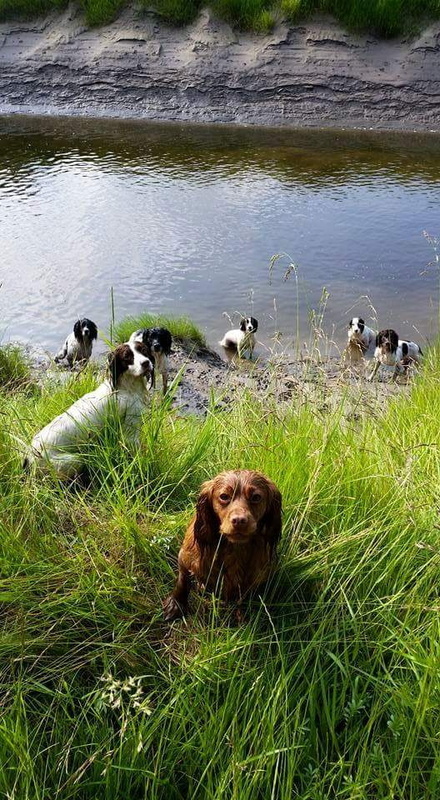 When using your personal information TagKai Gundogs will act in accordance with current legislation and aim to meet current Internet best practice. When you supply any personal information to TagKai Gundogs we have legal obligations towards you in the way we use that data. We must collect the data in a manner that explains how we will use it (see notices on relevant pages that let you know why we may be requesting your data) and tell you if we want to pass the information on to anyone else. Your information will be not be shared with or disclosed to anyone, except where we are obliged to do so by law. We will hold your personal information on our systems for as long as you use any service you have requested, and remove it in the event that the purpose has been met. We will ensure that all personal information supplied is held securely, in accordance with the Data Protection Act. If you are aged 16 or under, please get your parent/guardian’s permission beforehand whenever you provide personal information to the TagKai Gundogsweb site. Users without this consent are not permitted to provide us with personal information. The information contained in this website is for general information purposes only. The information is provided by TagKai Gundogs. Whilst we endeavour to keep the information up to date and correct, we make no representations or warranties of any kind, express or implied, about the completeness, accuracy, reliability, suitability or availability with respect to the website and its information, products, services and related graphics. Any reliance you place on such information is therefore strictly at your own risk. This website may link to other websites. TagKai Gundogs has no control over the nature, content and availability of these sites. The inclusion of any links does not necessarily imply a recommendation or endorse the views expressed within them. Every effort is made to keep the website up and running smoothly. However, TagKai Gundogs takes no responsibility for, and will not be liable for, the website being temporarily unavailable due to technical issues beyond its control.